In January of 1911, the Alpha Club of Burlington held a meeting to elect officers and discussed the necessity of there being a place provided for readers. A committee was appointed to meet with the city council to ask them to provide library and reading rooms with the understanding if the rooms are provided the club will keep them open and furnish personal care for them. By February 7th, 1911 the Reading Rooms were opened ! The first library reading rooms were in the Knutzen Building. The reading rooms were open every day and evening; the library was open with volunteers from the Alpha Club Wednesday and Saturday from 2-5 pm and 7:30—9 pm. Books were purchased, donated and on loan from the State circulating library. The library’s second home was in the “Kate Burns building” on the corner of Fairhaven and Cherry Streets. In 1912, the “Reading and Rest-Room Association” was formed to take over librarian and janitorial services. 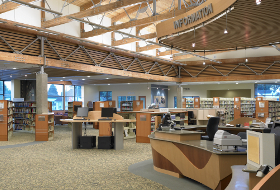 In 1914 the Washington State Legislature passed a law empowering towns of the fourth class to establish and maintain libraries and create a library board. This was done and in 1916 the town was able to secure $5,000 from the Carnegie Corporation to construct a library. The cornerstone of the Carnegie Library was laid in June 1916 in a celebration organized by the Mt. Baker Masonic Lodge No. 36 of Mt. Vernon. 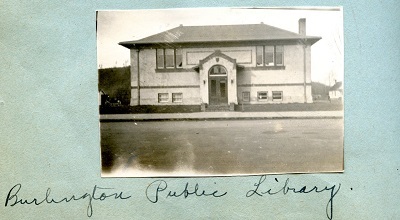 Three months later in September 1916, the Carnegie Library was dedicated and opened. It was 62’ x 34’ cement and brick with a 12’ ceiling and basement. The cost of the building was $5,000 and the City agreed to Carnegie Foundation requirements to keep up the collection $500 each year. 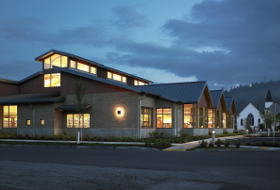 There were many donors and dedicated volunteers working to make the library a reality. Among them were the George Snyder Estate who gave $1552.00 for a Permanent Book Fund and the Mower Estate gave $1000. Another fundraising drive brought in another thousand dollars. This money was invested and interest used to buy books and it was understood that the principal was not to be spent. The first Librarian was Doris Bayly*. Her salary was $27.00 per month and her duties included janitorial tasks. The Alpha Club continued with many donations for several years until it finally dissolved in 2001 and selected the Burlington Public Library endowment fund (Library Reserved Fund) to receive the money held, $1001.83, to be used as principle. 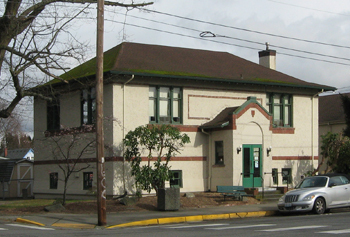 In 1979 the library outgrew its Carnegie building and moved into the new municipal building that it shared with the City Hall at 900 E. Fairhaven. 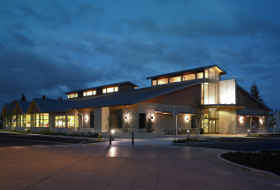 It continued to grow until a brand new 22,000 square foot timber framed building was completed in 2007. 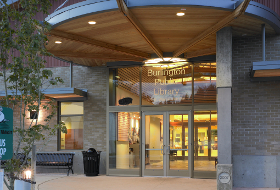 On June 25, 2016 the City of Burlington celebrated its opening for the time capsule retrieved from the three hundred pound cornerstone that was set in 1916 when the building was built. The cornerstone had a hollow center that contained a time capsule wrapped in waxed paper of the day. The story of the event is told in this series of photographs. * We are slowly trying to verify the list of other librarians, compiled mostly from Statistical reports filed.